Uber news today includes the ride-sharing company’s acquisition of Careem. The following are a few things to know about the Uber news concerning the Careem deal. This deal has Uber acquiring the ride-sharing company, which operates in the Middle East. Uber is paying a total of $3.10 billion for the company, but not all in cash. Instead, $1.7 billion of the payment will be in the form of convertible notes. The remaining $1.4 billion that makes up the deal will be in cash. 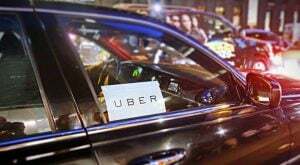 This Uber news will have the Middle East company becoming a wholly-owned subsidiary of Uber. Uber notes that it will continue to operate Careem in the Middle Easter under its current brand. It also points out that the leaders of Careem will also continue to manage the company. This will leave CEO and co-founder Mudassir Sheikha as the head of the company. Sheikha will continue to report to Careem’s Board of Directors following the close of the deal. This board will be made up of five individuals. Three of the Directors on this Board will be appointed by Uber. The remaining two members will be from Careem. Uber and Careem note that they are expecting the acquisition deal to close during the first quarter of 2020. However, they will need to get approval from regulators first. You can learn more about the deal between and Uber and Careem by following this link. Article printed from InvestorPlace Media, https://investorplace.com/2019/03/uber-news-to-know-about-careem-deal/.